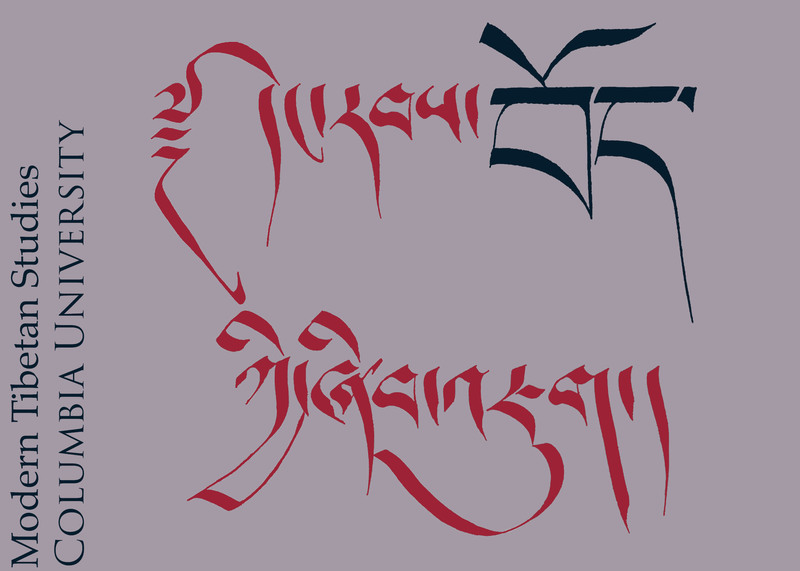 High Peaks Pure Earth has been dedicated to translating literature, news, and cultural commentary from Tibetan cyberspace for the last decade. Join us for a talk by founding editor Dechen Pemba, followed by a roundtable discussion on the internet as a site of Tibetan cultural production featuring Palden Gyal and Riga Shakya (Columbia University) and with video contributions from poet Tsering Woeser (Beijing) and writer Bhuchung D Sonam (Dharamsala). 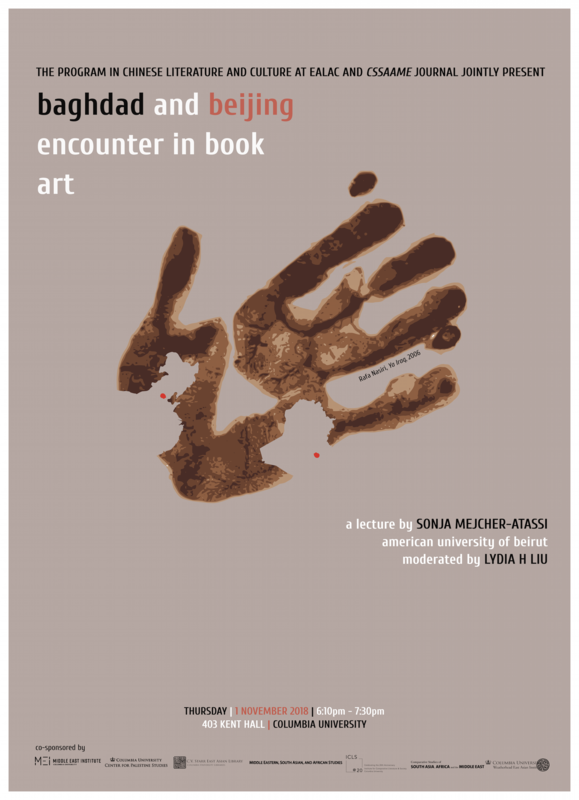 With an introduction by Eveline Washul. Light refreshments will be served. 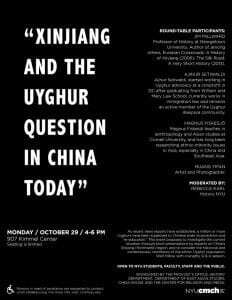 This event is sponsored by the Modern Tibetan Studies program, Columbia University. Sheng Keyi will be coming to NYU’s China House on Thursday to talk about her book Wild Fruit (野蛮生长, translated by Shelly Bryant). Anyone interested is welcome to attend and can RSVP here. 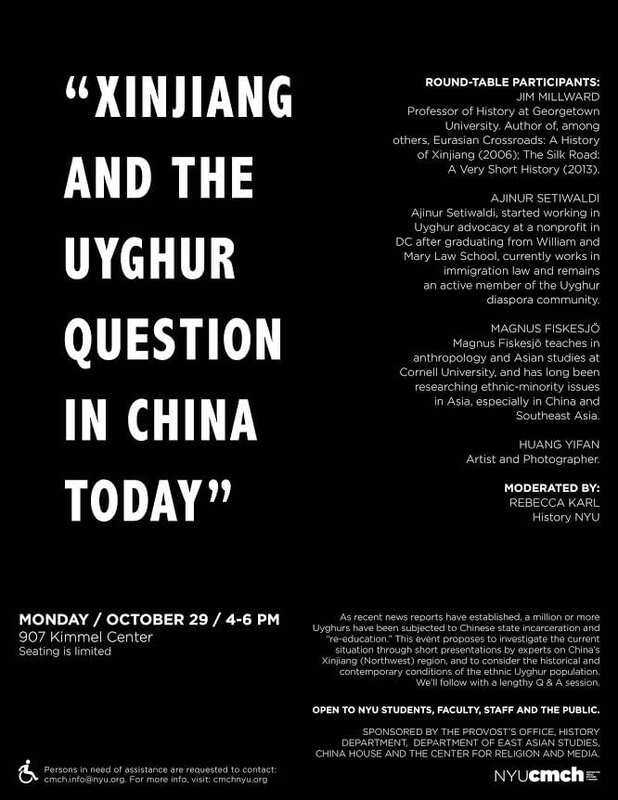 If you are in or around New York, you’re welcome to come to this event, on October 29th at NYU. 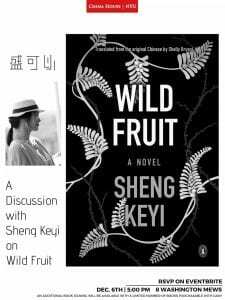 Taiwanese playwright and director Stan Lai (Lai Shengchuan), will be speaking at SOAS University of London on Saturday 13 October 2018, 3-5 pm. Free entry. All welcome. Speaker: Adrian Zenz, Lecturer in social research methods, European School of Culture & Theology, Germany. Dr. Zenz is author of the recently published paper, ‘”Thoroughly Reforming Them Towards a Healthy Heart Attitude” – China’s Political Re-Education Campaign in Xinjiang,’ (Central Asian Survey 2018). 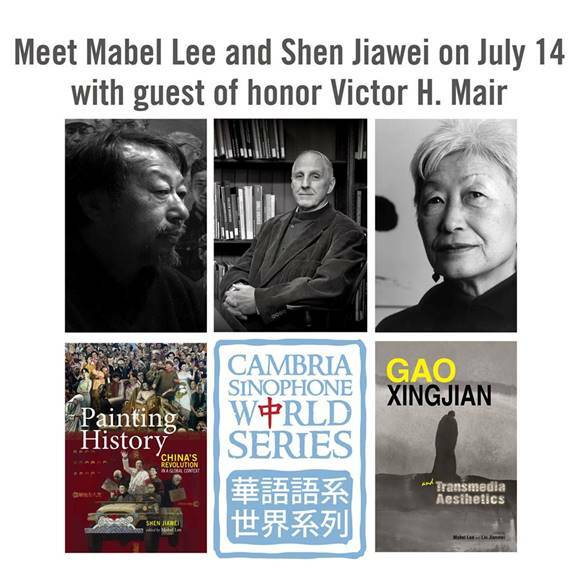 Professor Victor Mair (University of Pennsylvania), general editor of the Cambria Sinophone World Series, will be the guest of honor and giving a speech at the Cambria double book launch event for Painting History: China’s Revolution in a Global Context and Gao Xingjian and Transmedia Aesthetics. The event will be held on July 14, 2018 (Saturday) at 2–5 p.m. at iPreciation (Singapore), a premier gallery that showcases the best of modern and contemporary Asian art, including the works of Nobel laureate Gao Xingjian. Attendees will have the opportunity to meet Professor Mair, in addition to authors Mr. Shen Jiawei and Dr. Mabel Lee, who will be giving talks about their books. If you will be in Singapore on this date, please join us for this special event and register now for it. Registration is free. The first seminar will consider ‘I Love Dollars’ by Zhu Wen, originally published in Chinese in the late 1990s, and the second ‘The Story of Ah Q ‘ by Lu Xun, first published in Chinese in 1921. The seminars are presented by journalist and writer Poppy Sebag-Montefiore, will be discussions on short stories from bestselling classics from either end of the 20th century. I would like to introduce this incoming talk about the botanical interactions between Britain and China in the 18th century which I will co-present on March 24th in Oxford. Former director of the Royal Botanic Gardens in Kew Sir Peter Crane, author and expert in the history of science, medicine and culture Jordan Goodman and expert in Sino-British exchanges and China Trade paintings Josepha Richard discuss the John Bradby Blake collection. For people who are interested, you are welcome to tune in live streaming from 2 to 4:30 pm tomorrow at https://www.youtube.com/channel/UCYloBzl4EWCXn0pXIOa9SOg/live. What role is there for storytelling and roleplay in teaching about Chinatowns and Chinese diasporas? The “Harvard on China” podcast is hosted by James Evans at Harvard’s Fairbank Center for Chinese Studies. You can subscribe to the “Harvard on China” podcast on iTunes, or listen on Soundcloud, Stitcher, and other podcast apps.